First off, hello and welcome to those of you who are new to Rose Water & Orange Blossoms. I welcome you, we all welcome you! If you were here in my kitchen on Main Street today, up north in Michigan, I would welcome you with something warm to drink. You would not say no, you would not even hesitate, because it’s so cold and snowy outside here that one must drink warm, and often (I wouldn’t let you say no anyway, because I’m a Lebanese cook, and we don’t take no for an answer). I like to pull out my favorite things and just look at them sometimes, up close. Of course I like to use them too, but even when I just look at them and take their picture, it’s a good thing. It reminds me to appreciate what I have. And it’s fun to share favorites with a friend. The warm drink I would give you if you were here with me on an icy day would be in my favorite little cups. I call them little cups rather than espresso cups because I so rarely drink espresso. Even though I love its richness, its bitterness, my constitution tells me NO! every time I test it to see if maybe it has changed its mind. I use my little cups for rich hot chocolate, which we’ll get to in detail later this week. The cups make the occasion of drinking chocolate special; a cup of this size calls attention to how little you’re drinking, so you best savor every sip. It’s the same feeling I have when I order sake—if it isn’t served with little glass or ceramic cups, I feel completely gypped. Sake in a chardonnay glass? When it happens, I’ve been known to mention it (with a smile…) to the server. I like sake just fine, but the real reason I order it is to drink from a tiny vessel. You’d think that would find me bellied up to bars drinking JägerMeister in shot glasses every weekend, but one shot of that on my 21st birthday was enough to last me till now. 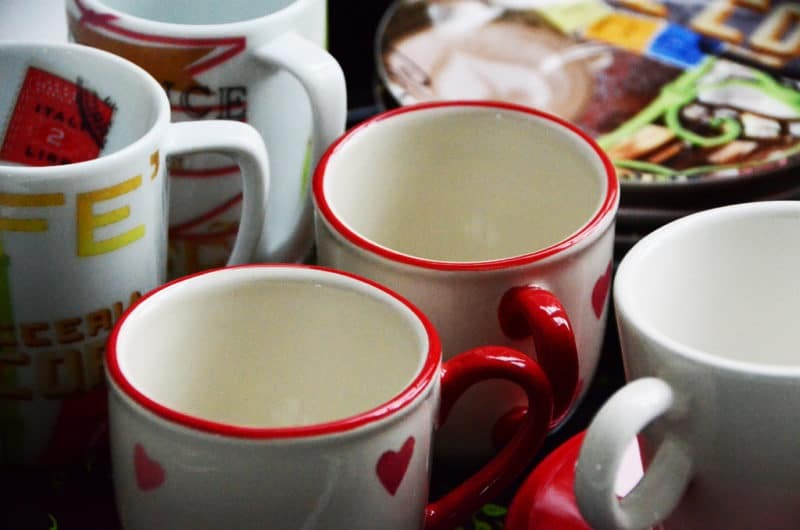 My cups don’t quite constitute a collection as of yet, not like my little pitchers, but there are a few with hearts on them given me by Cindy, and then there is another one that I love especially because it is white on white and somewhat ornate, but it is packed away somewhere. I look forward to the day it surfaces. My mama gave me a set of little cups a couple of years ago, a set that was also packed away until recently. I pulled them of a box and remembered, oh yes, I have these! In honor of having these, and in honor of bringing them back out to see the light of day, we will fill them with something incredibly good this week, a recipe I’ve been yearning to find for a loooong time. I hope you have some little cups somewhere in a box, or more likely in your kitchen cupboard. Pull them down and dust them off. February is upon us; special little things, with chocolate, are in order. 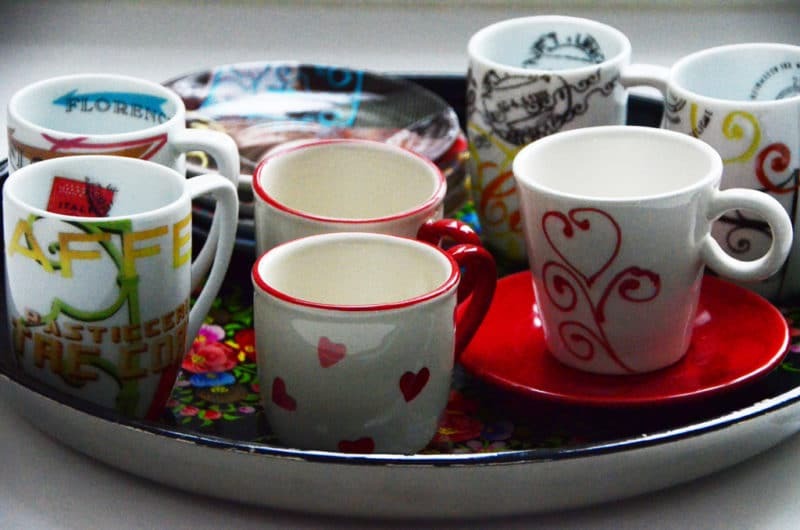 6 Responses to "Favorite Things: Little Cups"
I love little cups too. I especially like chocolate cups and saucers but have been known to swoon over liquor glasses, small, delicate sherry glasses and espresso cups. (but hardly use any), However, at home I take my coffee and tea in smaller vessels…drinking out of mugs does not appeal. I also find the large size martini glasses used in most restaurants terriifying. Maybe I need to move to the Shire? But I doubt they have Lebanese food…so no thanks. All kidding aside, your site site is delightful. Compliments from one Maureen to another. Cheers to YOU, Maureen (in a small glass, of course!)! Thanks so much! LOVE, LOVE, LOVE your comment…”I’m a Lebanese cook & we don’t take no for an answer” !!!! Isn’t THAT the truth?!! Your hospitality shines through so tangibly in your writing. 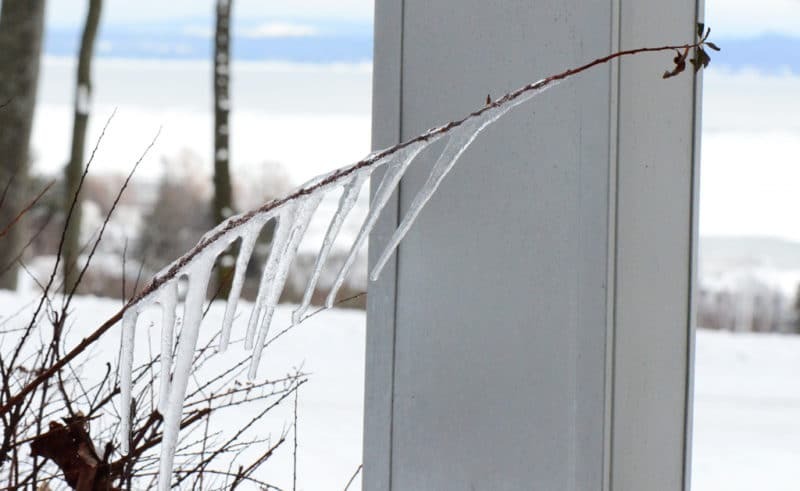 Sometimes as I read the day’s interesting post I feel as though I’ve stepped into your kitchen up North, shaken the snow off my boots and coat, and been handed a steaming cup of hot chocolate as I settle in to enjoy a warm and wide-ranging conversation. Brings back memories of my grandmother’s wonderful kitchen where something was always baking, and I knew I was always welcome. Cheers! Grams! You’re the best, just like your daughters! Thank you so much–it was so fun meeting you over burgers up north. Enjoy your idyll in Florida, and see you in the blink of an eye….